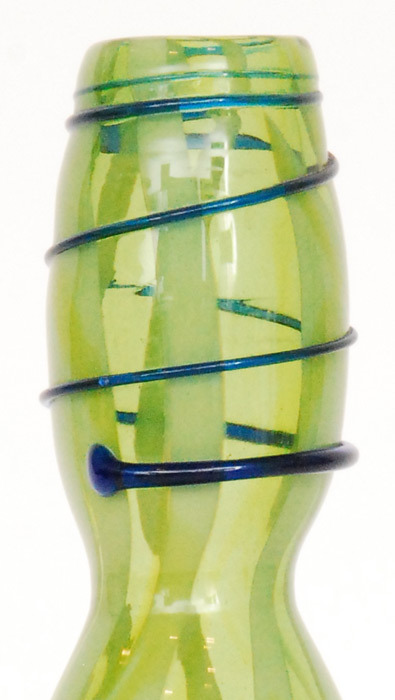 Bottle vase with an applied blue trail on a two tone green ground. Acid-etched signature to base. 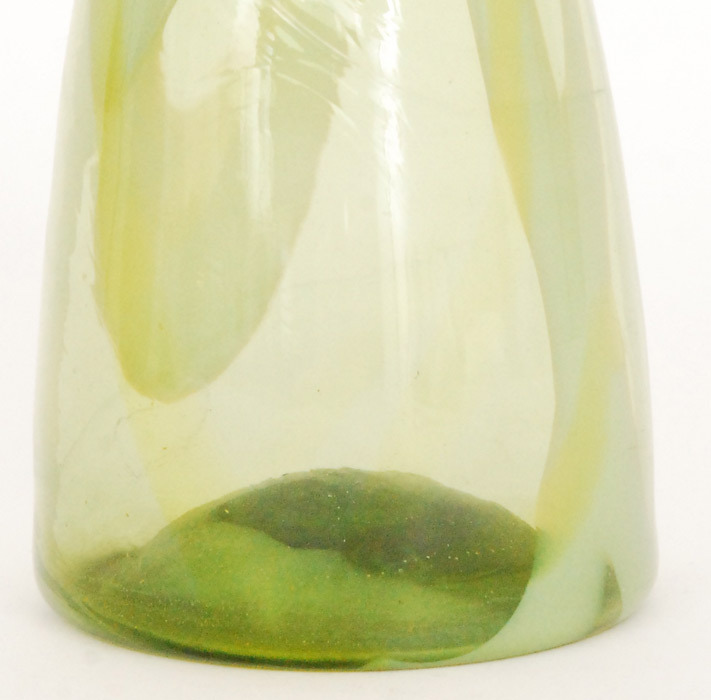 Sold for £3800 in October 2011 at Fieldings Auctioneers.